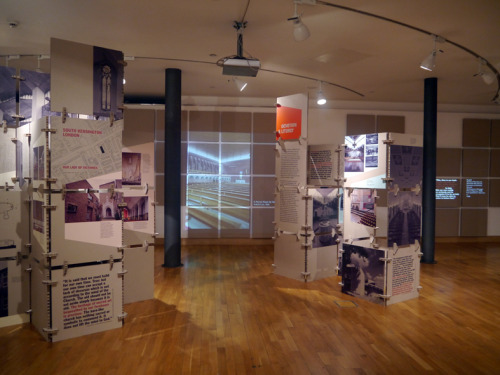 Collective Architecture were commissioned to design a travelling exhibition that forms part of a major research project by Dr Robert Proctor, Lecturer in History of Architecture at the Mackintosh School of Architecture, funded by the Arts and Humanities Council. 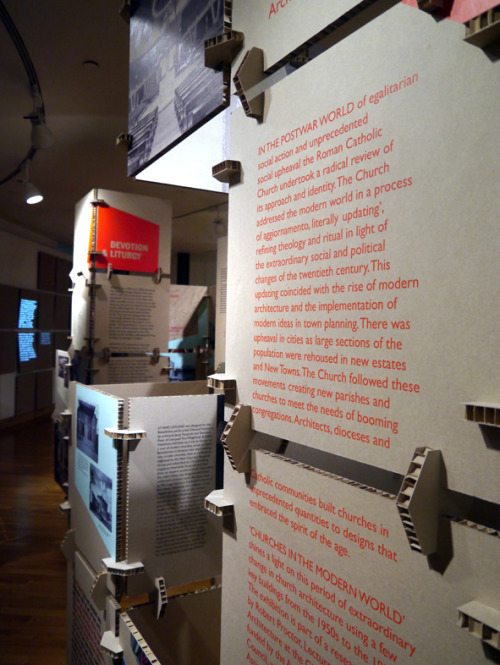 The exhibition shines a light on a period of extraordinary change in church architecture, through case studies of churches built between 1955 to 1975. 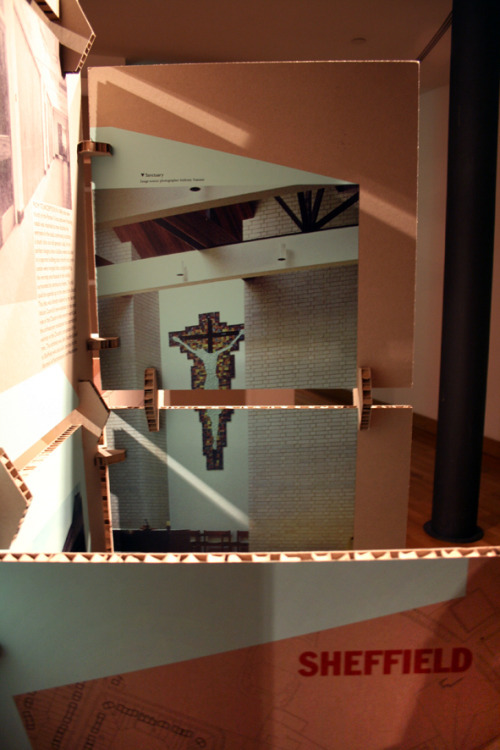 Touring a number of unconventional venues, mainly churches throughout the UK, the brief demanded a freestanding lightweight structure that could be transported and constructed easily, and responds to the themes of the exhibition. 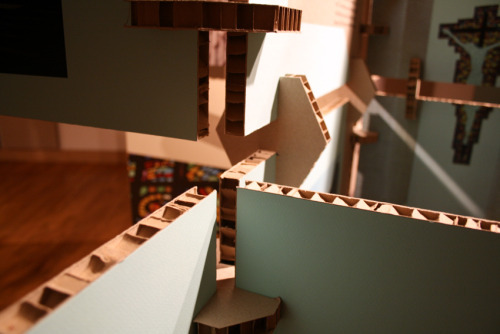 Collective Architecture developed a bespoke system using recycled honeycomb cardboard, a material that evokes the raw materiality of brutalist architecture. Interlocking panels create a modular structure, inspired by folding religious iconographic screens and principles of modernist design that emerged during the mid 20th Century. The case studies are presented through photographs, drawings and archive material, in a graphic style influenced by architectural magazines of the era. 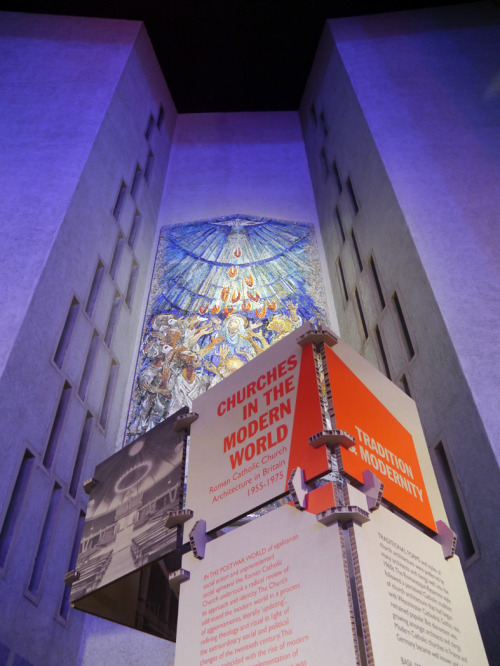 The exhibition launched in Gallery 2, The Lighthouse, Glasgow until 17th October 2012 and a travelling version launched in the Unity Chapel of Liverpool’s Metropolitan Cathedral, one of Britain’s most significant modernist churches, until 7th October. Information on future venues will be available at http://gsachurchproject.wordpress.com.